Before the foundation of Anor there was a sizeable population of Neran and Brudvir living within its borders. The fore fathers of the Duke Alduin fought to unite its people and lands to form Anor. The Duchy of Anor was at the height of its power in the early ages due to the military might that its armies possessed. However, continued attacks from other Duchies and Counties depleted its resources and Mann power. 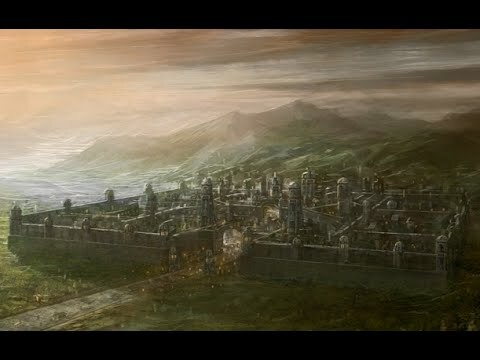 Eventually civil war, and a devastating plague caused it to gradually decline over the course of the next age until the defeat of Anor’s enemies. The Duke’s grandfather sought the unification of Anor once again at its ancient capital of Dawn’s Reach. 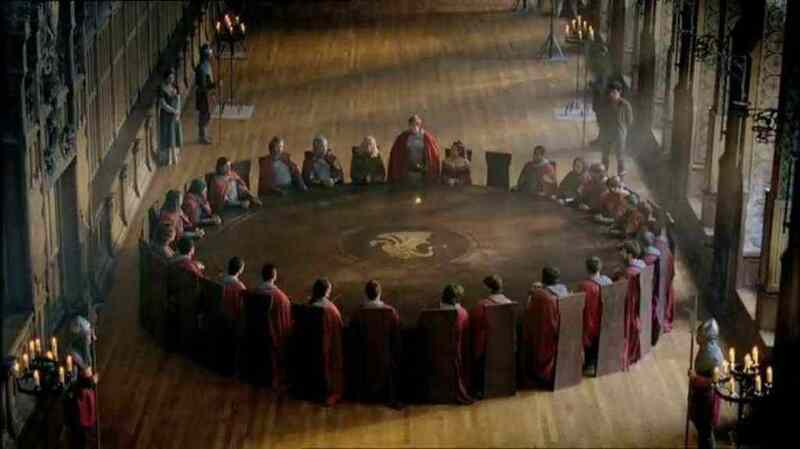 Anor’s noble houses rallied, among them was the great House of Inglund. The Count of Inglund swore an solemn oath to its Duke. All Count’s of Inglund by succession inherit the title of Grand Viceroy, the Duke’s most trusted advisor. Following that time, the power of Anor once again expands. They are now reunited under the banner of its current Duke and have sworn its loyalties to the Demalion Emperor. The Duchy of Anor lies within the Demalion Empire. The lands are bountiful with green vast fields of grass and farmlands. The Neran’s are cultivating their crops, blacksmiths are crafting the finest swords and armour for the Royal Army and The Knights of the Sun. The Nobility are shopping for the finest clothes for the next feast. The vast forests within the Duchy is home to the proud peoples of the Brudvir. These vast lands are connected by the lakes, rivers and streams that flow throughout. 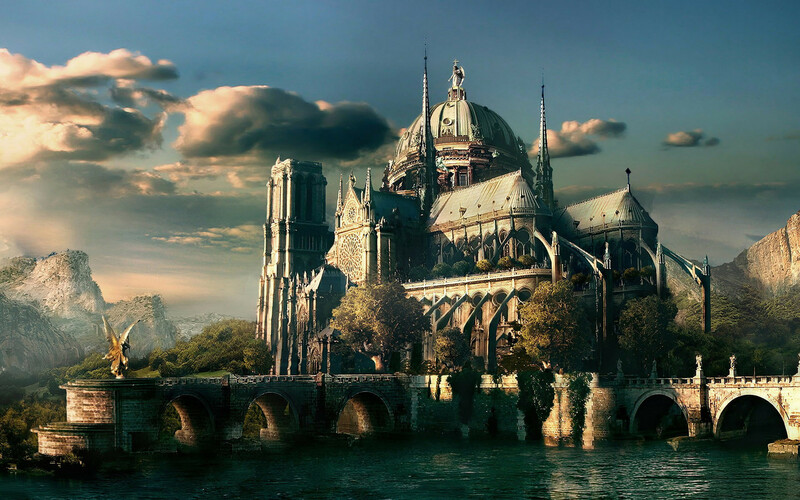 In the Duchy’s capital Dawn’s Reach, Neran, Brudvir and Hrothi are trading, drinking their ales and eating the finest meals. The Duchy of Anor is seeking a variety of mature players who would be interested in creating an immersive environment of gameplay. This could include roleplay however this is not essential. If you follow the principles and virtues of the Demalion Empire, The Duchy of Anor and Virtori, we welcome you with open arms. The Demalion Empire’s core principles are Courage, Trust, Loyalty and Generosity. Leather workers and cobblers, Butchers, Tailors and weavers, Paper-makers and Scribes, Dye-Makers, apothecaries and alchemists, Cooks, distillers and brewers, Blacksmiths, Miners and Jewelers, Masons, Farmers, gardeners and bee keepers. The Nobles consists of the Duke and Counts within the Duchy. The title granted by their decree and privileged upbringing ensures that they lead all the subjects with humility and Kindness. They give their protection to all those who are citizens and servants of Virtori. Nobility support the Aristocracy, the Gentry and Citizens. The Aristocrats are vital to ensuring daily life for all the citizens of Anor. They consist of Barons, Mayors and Magistrates. They lead the citizens through peaceful and war torn times. They ensure they lead the Citizens to carry out the Duchy’s vision. The town’s and Castles ensure that the Gentry and Citizens have a hub for trading, gathering, farming or adventuring. The Gentry are sanctioned land owners. They are the backbone to a structure and stable society. Whether the trade is for commerce, agriculture, industry or research, without Gentry there would be no jobs for Citizens including Adventurers and no one to govern or to rule. The life of a Citizen or Adventure is about risks and rewards. The Citizens are made stronger, don’t give up on tasks in the search of riches, tales and glory. You will have dependable companions, a dry bed and a pint of ale in the local tavern. 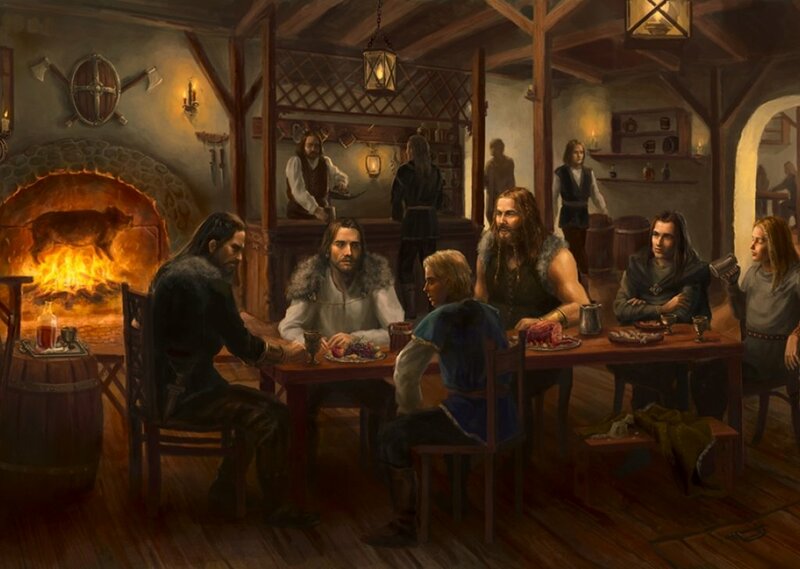 Your deeds and reputation may find you welcome within the farmer’s table, Village Tavern or Noble Court. You are not limited as a citizen, you are about to start your journey to becoming a soldier, a researcher, a trader, a miner or even Gentry, Aristocrat or Nobility. The Order of the Knights of the Sun is a chivalric order with military purpose originally established by the Duchy of Anor and the Virtori Faith. The order was created for the protection of all Virtori faithful against violent persecution. The Knights take religious vows to follow the virtues of Virtori. 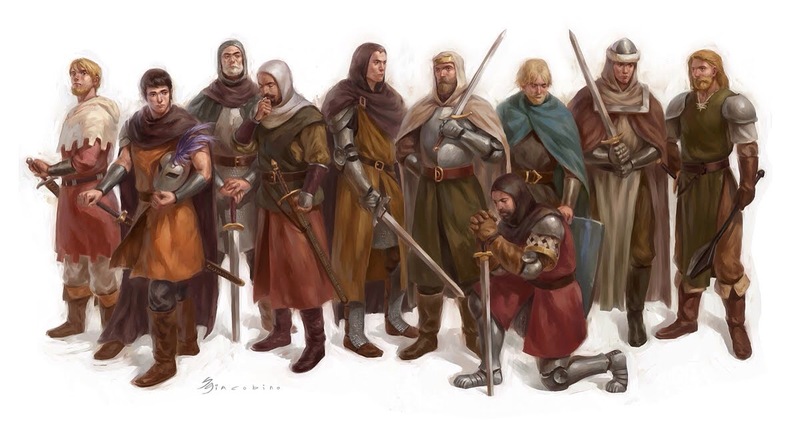 The Soldiers of Anor were renowned during the first age for their skill and valor. The training of the Menn of Anor were instilled with the martial spirit and hope of Virtori. The current Duke wishes to train his armies to the standard of his ancestor’s. Every Soldier is in peak fighting condition and ready to fight against any enemy that wills it. The three major weapons are longswords, spears and the longbow. 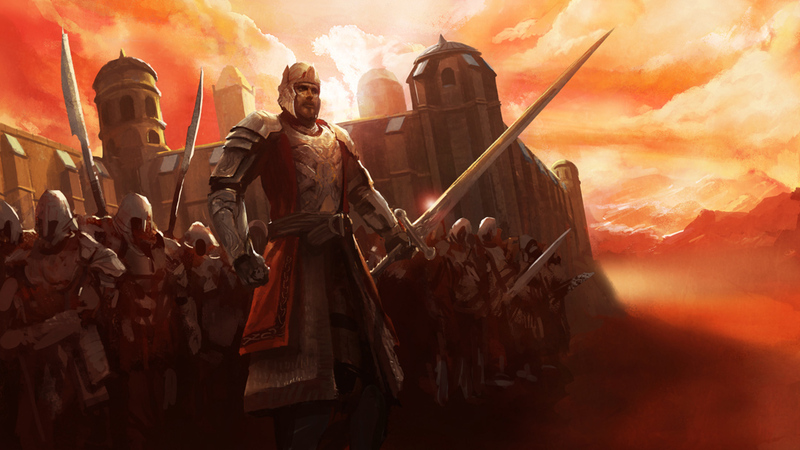 Soldiers of Anor are well disciplined Menn who form cohesive formations for defensive and offensive purposes. The soldiers wear plate or chain mail and utilize large shields. The Duchy of Anor is a multicultural society that follows the teachings of Virtori. The Neran’s and Hrothi’s within the Duchy believe that the existence of powerful God’s and their guardians, representing the 7 virtues and 7 vices. The followers of Virtori believe there was a great war between the Virtues and Vices. They believe that Mann-Kind was caught up in the middle and ultimately sealing away from the Vices and Virtues to protect Elyria from the Gods. Virtorian’s believe that this has sealed the world into Elyria, Haven (the place of Virtue and Karcion (the place of the Vice). It has been stated throughout the ancient lore of the world that the Virtori are the ‘Paladins and Clerics’. The Neran’s and the Hrothi are considered the Sword and the Shield of the Virtues. The Brudvir of the realm have also started to convert. The below are the possible Virtues and Vices. Chastity, Temperance, Charity, Diligence, Patience, Kindness and Humility. Lust, Gluttony, Greed, Sloth, Wrath, Envy and Pride.